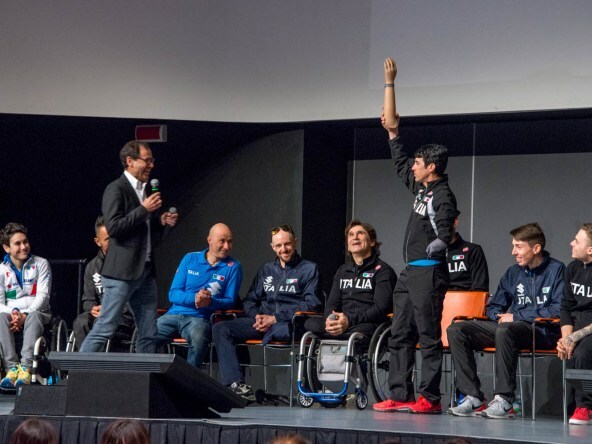 Riccione’s students met with the Italian Paralympic Cycling Team and Alex Zanardi at Palariccione. 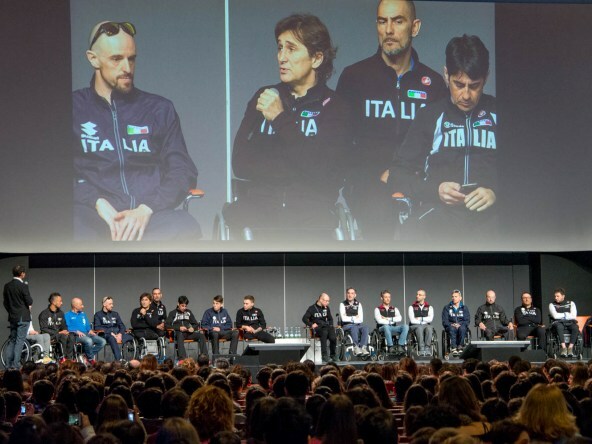 The 13 athletes of the National Paralympic Cycling Team, who trained in Riccione from March 19 until March 23, met with over 1,000 middle school students to talk about their life. 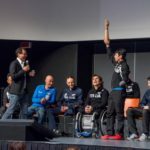 Besides them, coach Davide Cassani, who opened the meeting by introducing the athletes, and Alex Zanardi, 4-time gold medalist at the Paralympic Games in London (2012) and Rio (2016). 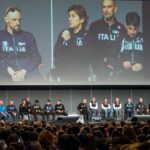 It was a pretty emotional morning, with the athletes telling their stories of perseverance and passion, hardship and victories. 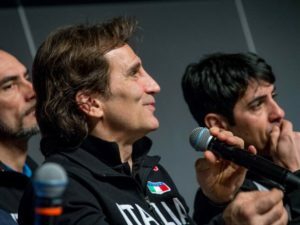 Alex Zanardi recounted different moments of his life with his usual irony, and he encouraged students to pursue their dreams and passion, to never give up, and to turn adversities into opportunities. The meeting took place in the 1100-sqm Sala Concordia (1400 seats), one of Palariccione’s modern meeting rooms. 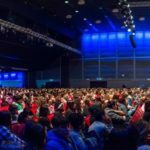 Palariccione is a modern glass and steel building with 10 meeting rooms that can seat up to 1,400 people thanks to its innovative retractable seating and wall systems. 727 m² exhibition area, 250m² foyer, and seated dinner for up to 2,000 people. A remarkable 585m² panoramic terrace overlooking the sea can be used for parties or as a catering area.